Veteran drama The Expanse has been canceled after three seasons by Syfy. The series, currently in its third season, drew decent ratings for the cable network but those ratings just weren't enough for another go-round, at least not on Syfy. The show is being shopped by producer Alcon, with the hopes that another network will pick it up. The series stars Steven Strait, Cas Anvar, and Dominique Tipper. The TV Ratings Guide had previously labeled the show as a likely renewal. Below are ratings for season three of The Expanse. What do you think of this cancellation? 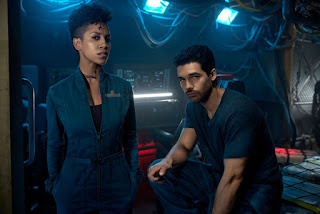 Will you miss the Expanse? Hope it gets picked up elsewhere? Let us know in the comments below.